Professional setup package creator is the best product for software developers to easily deploy their software applications at end-users machine. Professional setup installer creates small and fast self-extracting setup exe file which is ideally used to distribute software application in the easy way. Setup Generator Software assembles and packs all your programs and data files into self extracting executable (.EXE) files which advance setup features including various dialog box like desktop icons, Windows start menu, registry entries, adding license agreements etc. 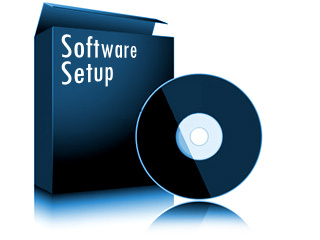 Windows Software installation setup package creator program with advance setup features facilitates you to choose and include files while creating customized setup package of any windows program. ◆ Professional and easy-to-use install maker utility to create setup installation packages for Windows with various optional features. ◆ Setup creator software takes less memory space and can be used for commercial or non-commercial purpose. ◆ Offers you a wizard-style setup builder for delivering your application programs in very minimal time. ◆ Advanced install and uninstall feature options for user convenience. ◆ Highly interactive and user-friendly GUI to easily understand the operations and functionality of install creator software. Installation program provides uninstall feature to properly remove all traces of software when not required by users. Automated application installer also gives full information of software to users including name, version etc. during the installation process. Setup builder software is simple way to distribute your applications through web among clients. Windows installer can be easily handled with the help of provided step-by-step guidelines for user convenience.